Good morning and welcome to a fancy summertime hop! 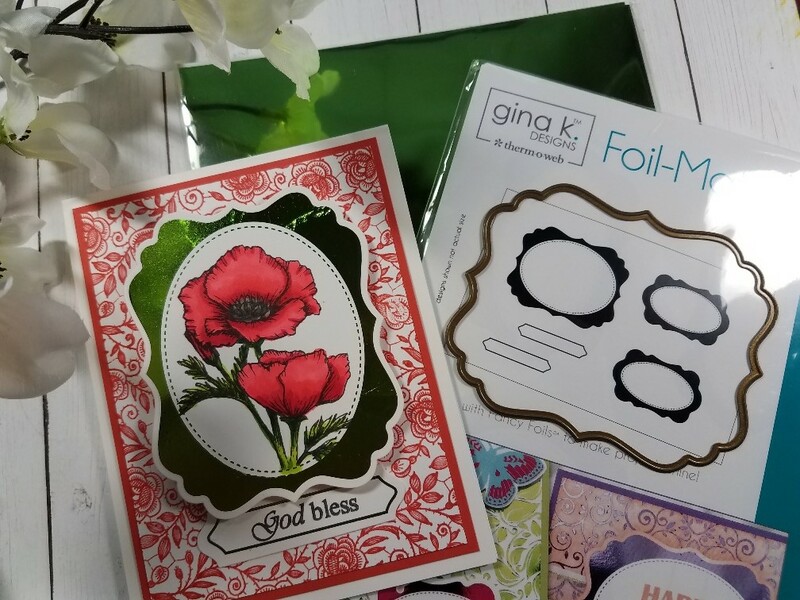 Thank you for hopping with the Gina K. Designs team today as we share new Foil-Mates products and inspiration for Gina's new release plus other great products in the store! As usual, we have fun prizes! The prizes will be THREE $50 gift certificates chosen from all the comments on the blog hop, one per winner. Gina will choose the three winners and announce them on her blog on the original post from today on Thursday morning. Good luck! 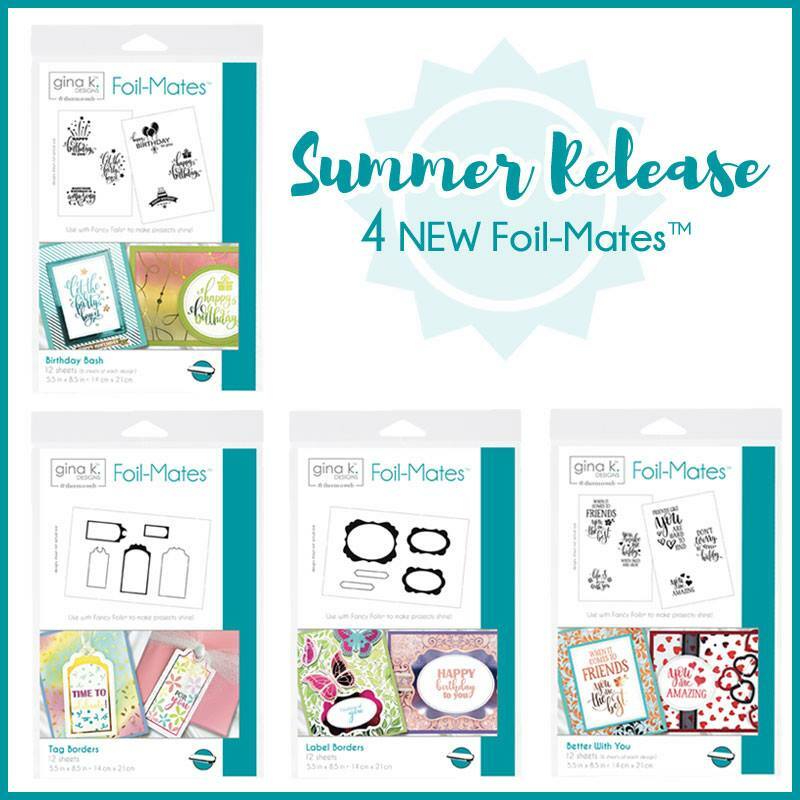 We got 4 new sets of Foil-Mates tags and greetings to play around with, so I made three cards today. 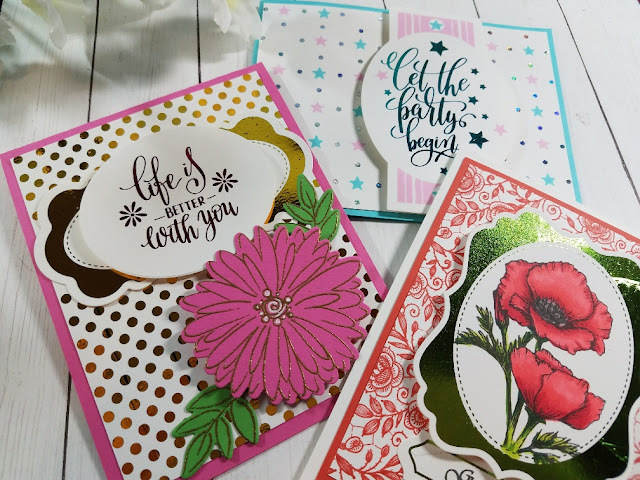 I mixed in some previous background packs and foils to make these cards. The tags are so fun for adding stamped images and sentiments! 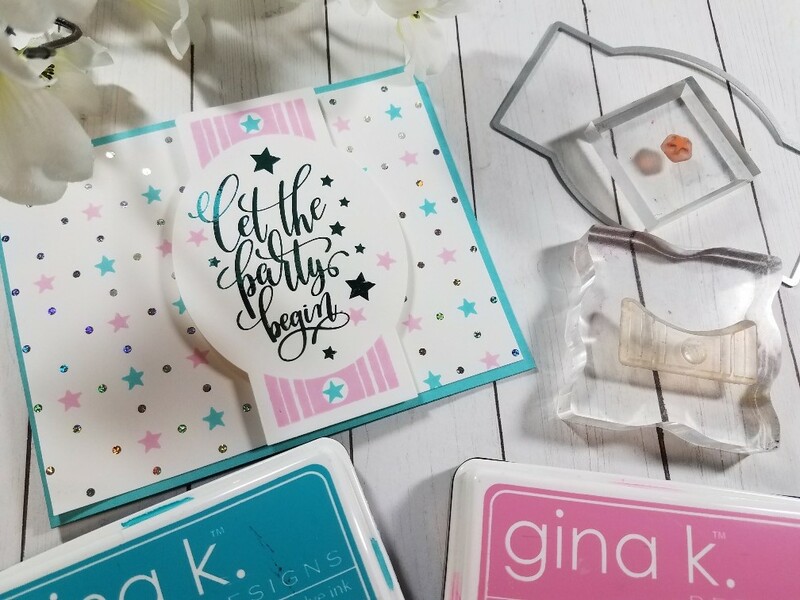 This sentiment fit so nicely in the Fabulous Label die, so I decided to cut it out after foiling it with Turquoise Sea Fancy Foil and then stamp in some of my Fabulous Holiday Fillers. The belly band ends are Bubblegum Pink and the little star (to match the foiled sentiment) is GKD Turquoise Sea ink to match my foiling. 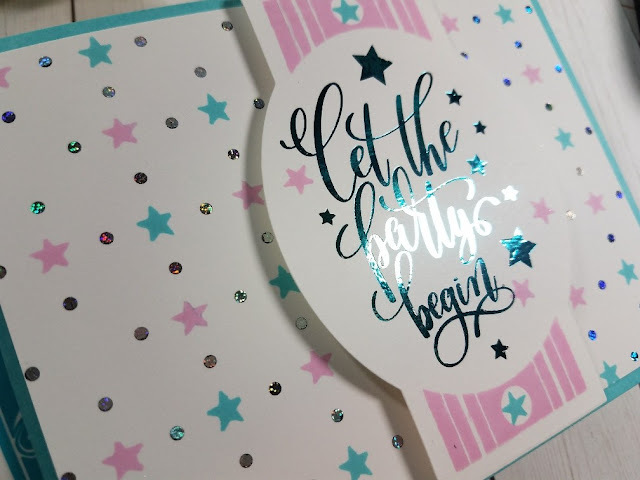 I put this over a polka dot foiled background from the Polka Party Foil-Mate pack (foiled with Silver Sequins Fancy Foil) and stamped in those stars from the Fillers set to make the pattern more coordinated and even fancier! Base is Turquoise Sea. 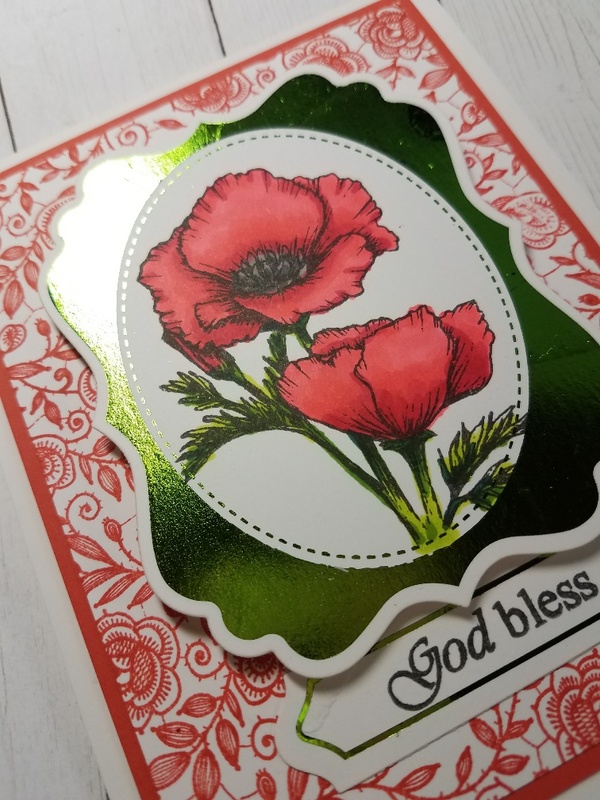 I used the Labels Borders Foil Mates set and coordinating Decorative Label dies with the Grass Green Fancy Foil to make two gorgeous borders for my Stately Flowers 1 poppy and sentiment. I colored the flower with Spectrum Noir markers (CG3, CG4, JG6, FL1, CR11, DR4) and stamped the mat in GKD Coral Reef ink with the Rose Lace rubber background. Card base is GKD Pure Luxury Coral Reef. 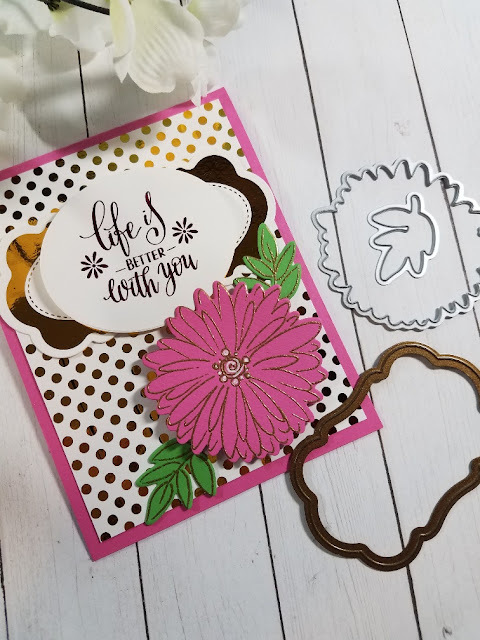 Finally, I made this fun Life is Better card using one of the new Better with You Foil-Mates sentiments, a medium size label and matching die from Label Borders and another Polka Party Foil- Mate background. 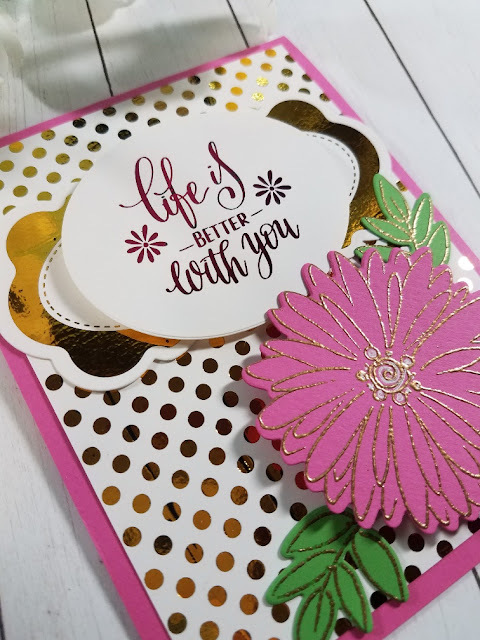 I foiled these three Foil Mates elements with Passionate Pink Fancy Foil for the sentiment and Wild Dandelion Fancy Foil (such a pretty gold!) for the label and dots. If you don't recognize the label border now, I snipped the die cut in half to make it longer and accent my die cut oval (also from Fabulous Labels) Finally I embossed some leaves and a daisy in gold embossing powder from A Year of Flowers 2 stamp set on GKD Passionate Pink and Lucky Clover Pure Luxury cardstock, and then cut them out with the coordinating dies. This card makes me so happy! Ready for more lovely samples and ideas? Let's go see what else the team has! Remember, more comments more chances! We love creating for you and hearing from you! Have a fabulous and fancy (foil) day!